Behaim’s BillPrint Suite automatically generates and archives XML documents containing customer billing data gathered from standalone systems in order to create printable invoices ready to be sent to a selected printer. The set of BillPrint components also contains a monitoring system extended by a very comprehensive Graphical User Interface web-based application which allows tracking of performed monthly bill cycles. It generates important statistics related to current bill data and displays any archived generated outputs. After a new bill-print cycle starts the BillPrint Suite application is notified about which accounts are supposed to be charged. 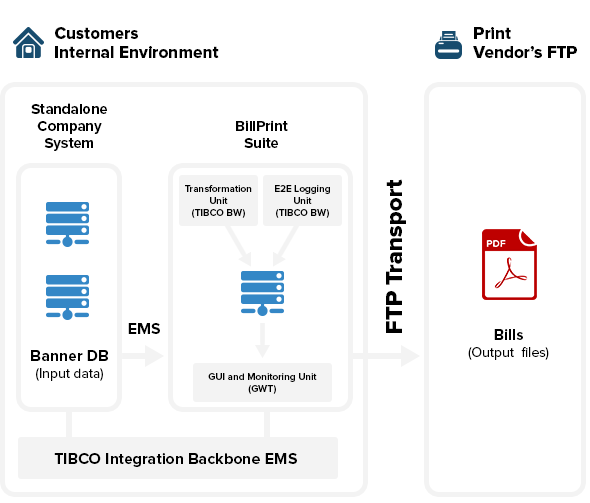 For each customer account, all requested information is gathered across Banner data tables and then sent via TIBCO’s EMS directly to BillPrint’s core unit, where it is filtered and transformed into the desired output format. TIBCO BusinessWorks allows parallel processing for increased performance, reducing the turnover time to view customer billing cycle results via the graphical user interface. The entire transformation process is monitored by TIBCO BusinessWorks to archive each customer billing cycle generate, which allows the user to regenerate specific bills if needed. Generated outputs can be grouped or sorted and are transferred to a print-vendor’s FTP target location. Be flexible when changing or updating an invoice format. Don’t be tied down to a specific printing vendor. 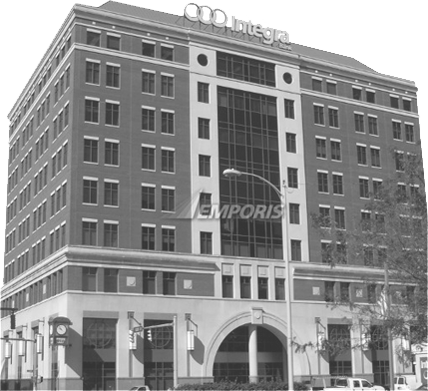 Have all invoices under your control until it is sent to the print vendor. The User has full control over the bill-print life-cycle from data to final invoice because of the solutions graphical user interface, logging, and monitoring applications.